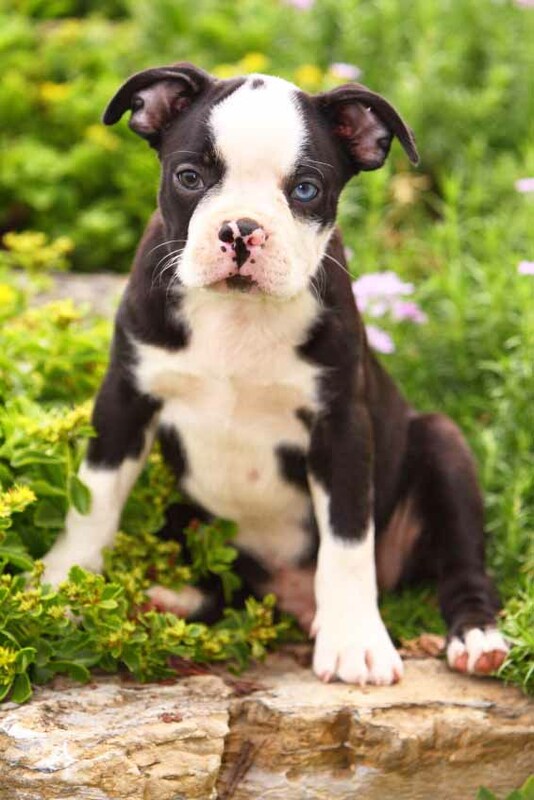 Looking for inspiration for Boston terrier names? Maybe you’ve been trying to think of a really nice name for your dog but have found yourself stuck. Well, whatever the situation is we have many good ideas for you! Boston Terriers usually have names that tend to be fun and occasionally reflect the physical attributes of the breed. Our list of names below will help you to find just the right dog name for your pooch. Known for their formal appearance and distinctive coat, Boston Terriers are husky and stylishly handsome dogs. These pooches are somewhat stubborn, but over all they are lively, alert and have an easygoing temperament. Take a look below - and we hope you will find the perfect pick for your newest family member! Bon Bon: Bon Bon is one of the happiest dogs that you will know. This pooch likes to keep some of her many fine qualities under wraps, which makes the moniker a good one for your sweet little thing! Beans: This male Boston Terrier is intelligent and eager with a mild manner and fierce loyalty. This boy knows how to make you and others feel comfortable, and he is mindful of overstepping his boundaries. Champ: Champ is a cool identifier for your top Boston Terrier. This boy will always fight for you and may at times encourage you to seek freedom and rebel against the social injustices in your life while he leads the way. 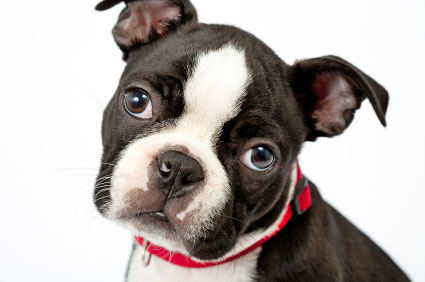 Clooney: This Boston Terrier dog name would make a good moniker for your intriguing rogue dog. This bad boy loves the outdoors; especially when you take him for rides, which will always prove to be fun. Dublin: Dublin is another great choice for your Boston Terrier. Due to the large amount of Irish heritage that the city of Boston has, Dublin would fit perfectly with the breed that originated there. Fenway: If you are looking a true Boston name for your Terrier, what better name is there for him than Fenway? This is Fenway as in Fenway Park, the home of the Boston Red Sox baseball team. This pooch will be a classic sports lover, and he will love to watch the games with you. Jazzy: Lively and spirited, Jazzy will make a good Boston Terrier name for your pup. This girl likes it when she is paired up with other pets, where she can get a sense of fair play. At every possible turn, this girl will try to make peace and harmony with her friends. Kit-Kat: This Boston Terrier name is a good one for the dog that has an eclectic way of seeing things. Kit-Kat has a great spirit that is sometimes erratic and sometimes brilliant. Marlee: Choose this moniker for the dog that has learnt how to separate your crazy notions from what is really important. This pooch is not coy about letting you know what she needs and trust me; you will get the message loud and clear. 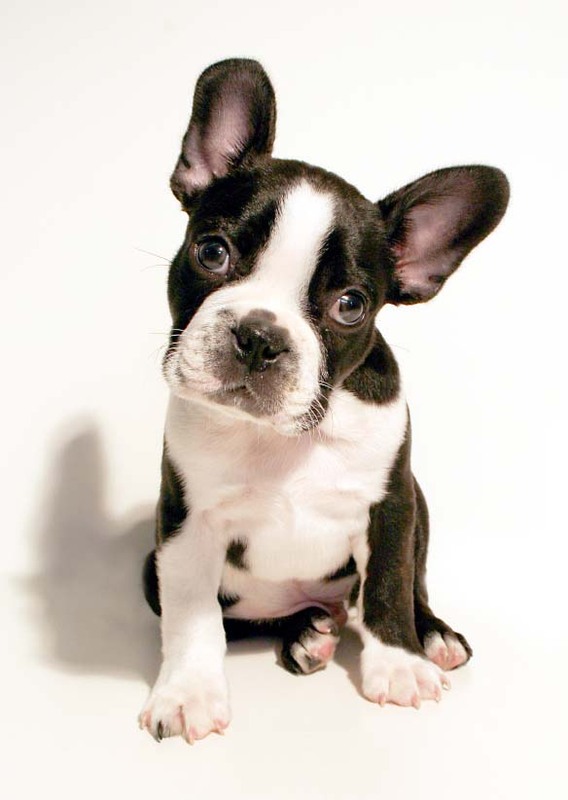 McMutt: Choose this Boston Terrier dog name for the dog that adapts naturally to daily rhythms and routines. As this boy grows, he will organize his life into a routine. His doggie toys will belong in a certain place and his bowl to another and please don't disturb his routine. It is very important to him. Montez: If you are looking a really cool sounding title for your pup, Montez will do the trick. This cool moniker will make your Boston Terrier sound really distinguished, something like royalty when you are out in public. O'Dooley: Choose this identifier for the dog with the funniest laugh or that is downright funny. This pooch enjoys dressing up, and playing other fun games with you. A cool choice for the dog that likes to play roles of pretend with you and other members of the family. Rosebud: Rosebud is a cute Boston Terrier name for the pooch that is stylish and enjoys creating a beautiful world. This girl likes decorating your living room as well as listening to music, but you won't find her wasting time on aimless games. Winn Dixie: Give this identifier to the dog that has a preference for the familiar tastes of home. This girl would rather stay with you at home instead of running off to play with other dogs or the kids. Uncommon Ideas: Why settle for ordinary?